New Yorkers — perpetually rushed and just a bit obstinate by nature — jaywalk instinctively, it seems. The act is as natural a part of living here as riding the subway and waiting on (instead of in) line. But like many things, there’s a right way and a wrong way to do it. As the city tallied a startling twelve pedestrian deaths in the first few weeks of the year, Mayor Bill de Blasio announced a new focus on pedestrian safety, something that lagged during Mayor Michael Bloomberg’s reign. 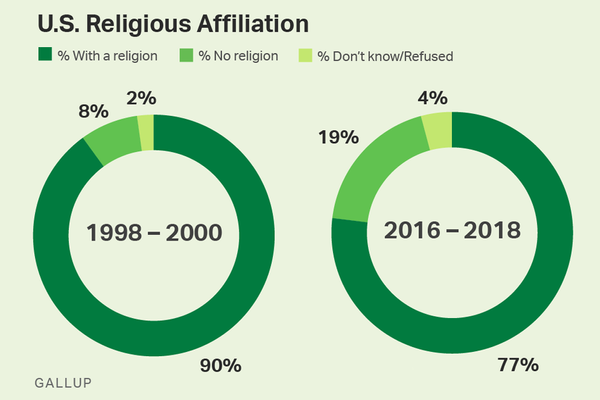 That new focus has taken various forms, from the NYPD deputy inspector cracking down on scofflaw drivers in Park Slope to the far more controversial increase in jaywalking tickets citywide. De Blasio has said there is no coordinated crackdown on jaywalking, but that local precinct commanders are free to enforce the law as they please. In the Upper West Side earlier this month, one such crackdown led to a bloody scuffle between police and the 84-year-old jaywalker they were ticketing. He’s now suing. Since then, jaywalking has been a hot topic. In the Village, some NYU students created a special crosswalk signal that lectures people about pedestrian safety. ABC’s Brian Ross hit someone who was crossing against the light just this week. And outlets such as the Associated Press and Los Angeles Times have taken to marveling at New Yorkers’ street-crossing brazenness. Nobody is going to tell residents and workers of this city not to jaywalk. But this might be a good time to offer up a few reminders about how to do it safely and effectively, especially with hoards of people flowing in for the Super Bowl. 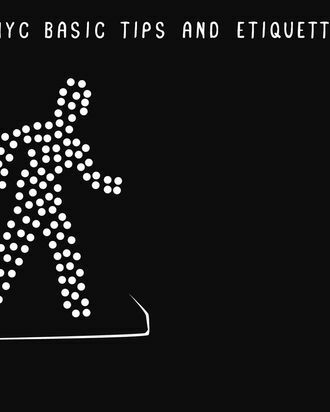 We spoke with transportation engineer and former city Traffic Commissioner “Gridlock” Sam Schwartz, as well as cycling and pedestrian activist Keegan Stephan, an organizer with the group Right of Way, about how the savvy New Yorker jaywalks. Why does everybody in this city jaywalk, and why is that okay? Can jaywalking ever be safer than waiting for the light? So what behavior makes for safe (or unsafe) jaywalking? Beware of tall trucks: “I say don’t cross until you see the whites of their eyes,” Schwartz said. That means don’t cross late in the walk signal in front of a stopped truck, whose driver may suddenly look up, see a green light, and gun it. They may not even realize they’ve hit someone when that happens. It also means that when crossing mid-block, don’t start from behind a tall vehicle. “If you’re stepping out mid-block between parked cars, and one of those cars is larger than most vehicles, it can block the line of sight,” Stephan said. When should one never jaywalk? 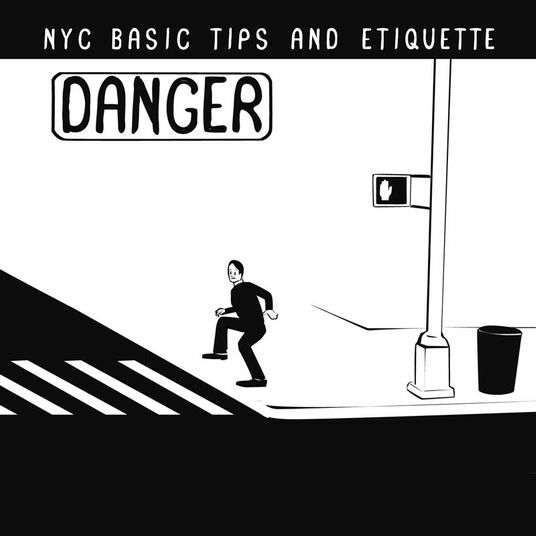 Illustrations by Nathan Pyle, whose book NYC Basic Tips and Etiquette is out in April.